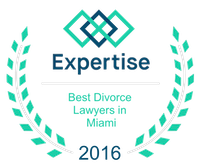 Moving & Child Custody | Miami Family Lawyers Vilar Law, P.A. In divorces, judges never want to split up children, and one parent is often awarded custody while the other parent gets visitation rights. Sometimes, the parent with custody needs to move for a wide variety of reasons. When this happens, the visitation rights of the other parent could be affected dramatically. This means that the custodial parent will need to file an application with the court system and get approval before moving. It is important that parents understand the factors that the judge will consider before making a decision. These tips could make the difference between a successful move and a rejected application. This is often the first factor that the judge is going to consider before making a decision. 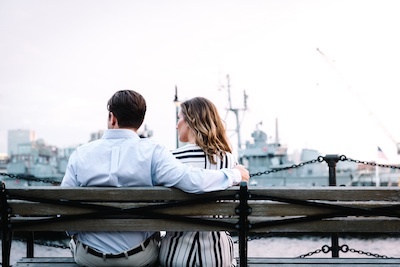 If the parents have worked hard to facilitate the visitation rights and have adhered to the custodial agreement, the court system is more likely to approve the petition to move. This is because the judge is always going to wonder whether or not the move has been designed simply to spite the visitation rights of the other parent. If the parents have been working together, this is a minor worry that the judge is going to dismiss quickly. Parents who think they might have to move at some point in the future should work together to facilitate the child custody arrangement. This will increase the chances that a move will be approved. Once the judge has gotten past the first hurdle, the reasons for the move are going to be closely examined. There are a few factors that parents should keep in mind that will impact the decision of the judge. How Far is the Move: This will be a major factor because the farther the move is, the harder it is going to be for the other parent to visit their children. A move across town is not as major as a move across the country. Is There a Better Job Available: It's not unusual for people to move due to a change of job. If the custodial parent has a high-paying job awaiting them on the other side of the move, this is more likely to get approved. Is There a Sick Family Member: Sometimes, people move to take care of a family member who is seriously ill. The judge will take this into consideration when deciding whether or not to approve the move. The School System Matters: Many people will move due to the schools in the other district. If the kids are going to have an opportunity for a better education, this will serve in favor of the application. Above all else, the judge wants to act in the best interests of the children. This means keeping both parents involved if possible and ensuring that the well-being of the children is always put first.